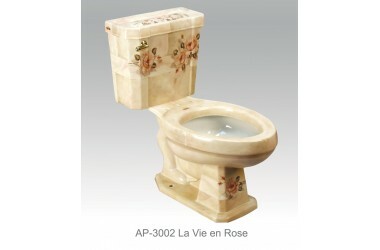 AP-3002 White Arena II elongated front toilet with La Vie en Rose design. 16" comfort height. 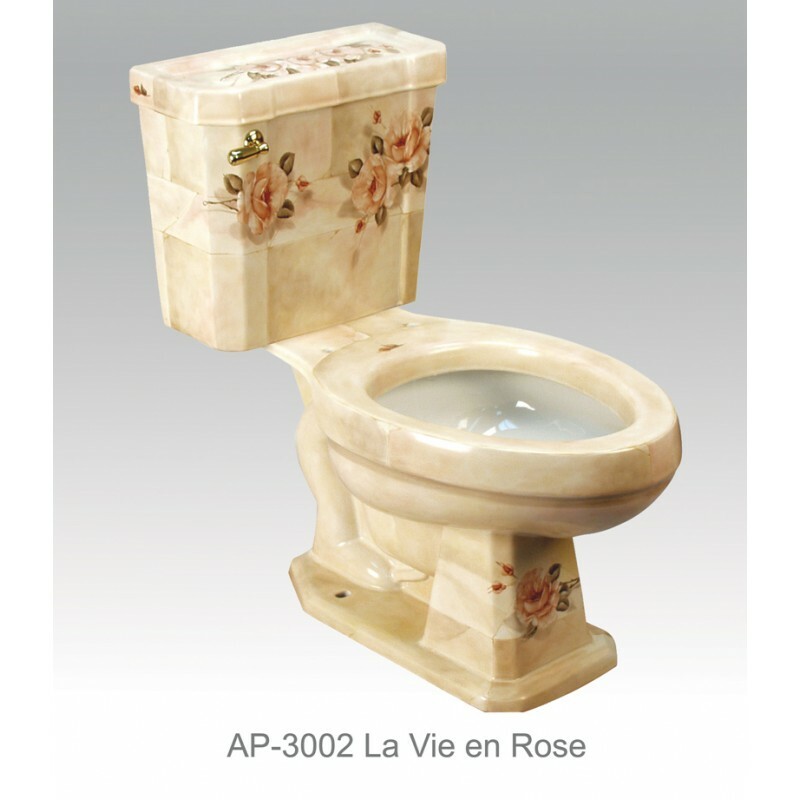 Outside dimensions 30 3/4" H x 29 1/2" L.